I reserve the right to refuse anyone. If you have feedback that shows a history of incomplete packages, very late sending, ill-communication, lack of DC #'s, etc. I may refuse you. I want this to be a flake-free swap. Swap Details: For the love of embroidery, let's swap! Need Ideas? You could craft items such as embroidered pillowcases, tea towels, samplers, napkins, journal covers, dolls/stuffies, totes...I could go on and on. For small/medium items you could swap swap embroidery goodies such as needlebooks, pincushions,thread, needles, patterns, kits. Further, it would be nice if you would post in this thread at least once a week (you could just stop in for a quick hello.....or if on holiday or will be without internet access or anything of the such, just post a message....it just gives your partner and organizer warm fuzzy feelings to know you are still around). Also, I suggest you create a wist, if you haven't already. Wists are very helpful to see your likes and wishes. Take pictures of your items before you send. When sending, you must use a DC# (or for overseas keep that receipt). Keep your receipt until your partner receives. PM organizer and partner when you send. PM organizer and partner when you receive. Post pictures in gallery in a timely manner, within a few days. When a package is received (verified through PM or DC#) AND pictures are posted in the gallery (This is why it is important for you to take pictures of your items, just in case your partner does not) *Please PM if there is difficulty with pictures; it is how I keep up with feedback. Lack of communication and explanation, such as no PMs of sending/receiving, will be noted in your feedback. What are your favorite motifs/themes? 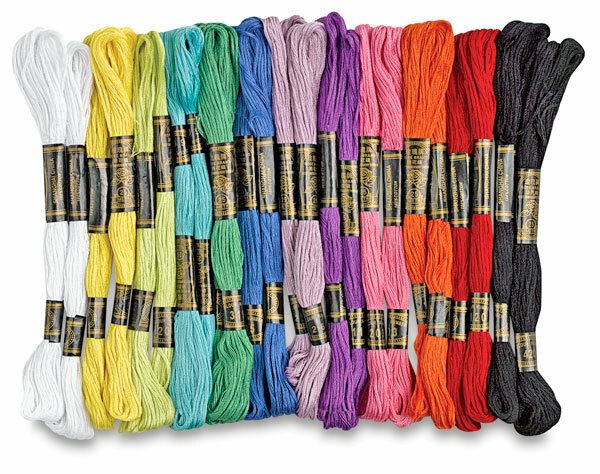 What is your favorite embroidery stitch (backstitch, french knots, cross stitch, chain)? Please label Personal Messages(PMs) to organizer with title of "Embroidery Swap". When you send, label PM as "SENT: Embroidery Swap". (don't forget to include your DC#). Send this message to the organizer and your partner. When you receive, label PM as "RECEIVED: Embroidery Swap". Send this message to the organizer and your partner. pinkleo, the artwork in your avatar and in your profile are very cool. And thanks ....I decided to change for the new year (I loved the colors, style, and the wishing dandelion...and my fantasy-self is just as put together as her ), though I was so attached to my last avatar I put it in my profile (I adore that painting). yay! i've been waiting for this to start! I can't wait until partners so I can start crafting! I've got some audiobooks all lined up for embroidery. pinkleo, I know this is off-topic, but how did you make the words "My Wists" a clickable link in your signature? I've been perusing your wists list and love so many of the things you have on your list!! I haven't added to my list in 5 or 6 months, but I can see that some of the things on your list are going to make it onto mine. I love to wist.....my wist reflects my loves....though at times it is fuller than others because I add swap ideas for my partners. I am new to embroidery, but I am hooked. I am going to think about this one, since I am still kinda shy about my stitching! i'm still shy about my stitching, too!